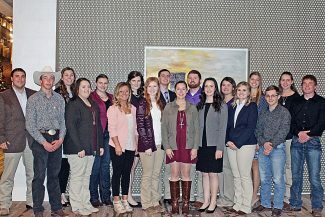 Wichita, Kan. — Twenty-two scholarship winners for the 2017-18 school year were recognized during the annual Kansas Livestock Association Convention Nov. 29 in Wichita. 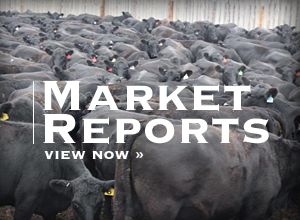 A total of $23,000 was presented by the Kansas Livestock Foundation and its partners. Haley DeLong of Emporia received a $1,500 Ralgro Wheels for Bucks scholarship from Merck Animal Health and KLF. DeLong is the daughter of Dale and Bobbie DeLong. She is a third-year veterinary student at Kansas State University. This award recognizes K-State veterinary school students with a career goal of being a large animal veterinarian. Five Kansas students each have been awarded, through KLF, $1,000 Wheels for Bucks Scholarships. Brandi Feehan is the daughter of Thomas and Vicki Feehan from Louisburg. She is a senior at K-State majoring in animal science. Kaitlin Houck, daughter of Jeff and Lori Houck from Americus, is a sophomore at K-State majoring in animal science. John Kennedy is the son of Kelly and Kim Kennedy of Soldier. He is a freshman majoring in agricultural education at K-State. Grace Luebcke is the daughter of John and Diane Luebcke from Marysville. She is a sophomore at K-State majoring in pre-veterinary medicine. Cole Renner, son of Craig and Cheri Renner of Norton, is a senior majoring in agronomy and animal science at K-State. This scholarship is presented to students entering or returning to a Kansas community or senior college and pursuing a degree in agriculture or a related field. WFB scholarships were funded by Merck's donation of $1 for each used Ralgro wheel turned in to KLA. Beginning in 2017, both Ralgro wheels and Revalor cartridges are being accepted to fund the new Merck Cartridges for Cash scholarship program. Rachel Bellar of Howard has been awarded the $1,000 Cattlemen's Scholarship from GoBob Pipe & Steel and KLF. Bellar is the daughter of Mike and Peggy Bellar. She is a sophomore at K-State majoring in agricultural education and agronomy. This scholarship is awarded to a student entering or returning to a Kansas community or senior college and pursuing a degree in agriculture or a related field. Two K-State students each received a $1,500 Douglas A. Laue Memorial Scholarship. David Luebcke is the son of John and Diane Luebcke from Marysville. He is a junior majoring in agricultural economics and agronomy. Kyle Pakkebier, son of Harvey and Sandra Pakkebier from Lenora, is a senior majoring in animal science. This scholarship is awarded to a student entering their junior or senior year at K-State or Fort Hays State University and pursuing a degree in agriculture. Four $1,000 Hampel Oil Scholarships have been presented to Kansas students. Quentin Haas, son of Kane and Jolene Haas from Madison, is a junior majoring in animal science at K-State. Wade Niermeier is the son of Fred and Nancy Niermeier of Hoxie. He is a junior at Fort Hays State University majoring in agriculture. Taylor Ochs, daughter of Steve and Stephanie Ochs, is a junior majoring in agribusiness at K-State. Leah Parsons is the daughter of Rodney and Amy Parsons from Leavenworth. She is a junior at K-State majoring in agronomy. This scholarship is awarded to students entering their junior or senior year at K-State or Fort Hays State University and pursuing a degree in agronomy, agribusiness or ag economics. Preference is given to applicants with a career goal of being actively engaged in a farming or feedyard enterprise. Four students from across the state have received $1,000 "Youth in Agriculture" scholarships from KLF. Zachary Callaghan is the son of John and Sheila Callaghan from Tonganoxie. He is a sophomore at K-State majoring in agricultural education. Chisum Grund of Wallace is the son of Jerry and Chrysanne Grund. He is a freshman attending Hutchinson Community College (HCC) and majoring in ag technology management. Sarah Loomis, daughter of Jason and Sheryl Loomis from Council Grove, is a freshman at HCC majoring in agricultural communications and animal science. Sarah Moyer is the daughter of Jaret and Shawna Moyer of Emporia. She is a junior at K-State majoring in agricultural communications. 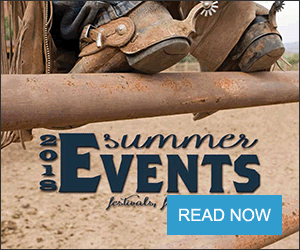 Funded by the KLF Club Calf Sale held during the Kansas Junior Livestock Show, these scholarships recognize students entering or returning to a Kansas junior or senior college and pursuing a degree in agriculture or a related field. The Kansas CattleWomen awarded four $1,000 scholarships to K-State students. Ashlea Baalmann is the daughter of Tom and Tara Baalmann of Wichita. She is a junior majoring in animal science. Taylor DeWeese, the daughter of Jerry and Anita DeWeese, is a senior majoring in food science. Kassady Griffin is the daughter of Justin and Katrina Griffin from Strong City. She is a freshman majoring in family and consumer sciences. Morgan Woodbury, daughter of Howard and Elise Woodbury of Quenemo, is a freshman majoring in agribusiness. This scholarship, funded by the KCW silent auction, is awarded to students entering or returning to a Kansas community or senior college and pursuing a degree in dietetics, food safety, agriculture or a related field. Megan Davis was awarded the $500 Fred H. Woodbury Memorial Scholarship through KLF. Davis is the daughter of Jack and Lisa Davis of Princeton. She is a freshman at HCC majoring in pre-veterinary medicine. This scholarship is presented to a student attending a Kansas junior or senior college and pursuing a degree in agriculture. Preference is given to students residing within Chase, Franklin, Lyon, Osage or Wabaunsee county.